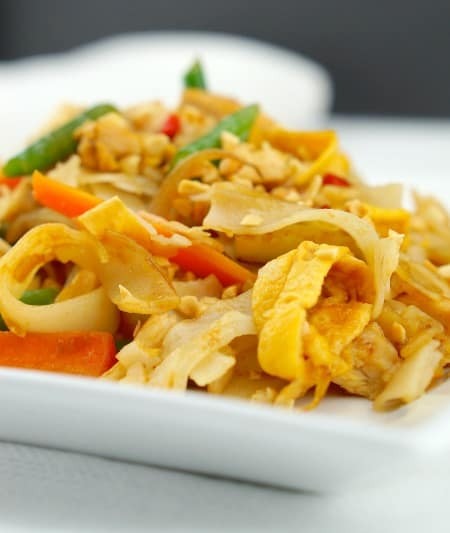 An easy way to have Pad Thai with all the flavours...a great everyday, quick meal that tastes delicious! In a wok, heat 1 table of the oil and add the beaten egg. Swirl the eggs in the wok to create a thin style omelette. Add in the chopped chicken and the fish sauce mixture. Stir well and when the chicken is cooked add in the noodles and stir through and then add in the egg. Sprinkle with chives and serve on a plate and top with roasted crushed peanuts.